To ensure that your vehicle is in good shape and runs smoothly, it is important that it is equipped with genuine products. That’s why we, at our Novi INFINITI parts store, bring you the best of everything that your vehicle requires. If you are looking for a new body for your vehicle, or wish to upgrade the engine, or are thinking of giving a makeover to its interior, we are here to help. Our INFINITI parts department near Livonia in Novi has the best and top-quality products that will never let you down. 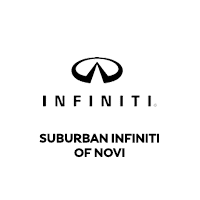 You can order online or visit our Novi INFINITI parts store and check them out in person. We also serve Farmington Hills and West Bloomfield.